Graduate of the Ecole Polytechnique engineering school (X88 class), Doctor of Applied Mathematics, armaments engineer, post-doctorate from the University of Maryland, College Park. After spending 12 years as a teaching fellow in mathematics at the ISAE/Supaero aeronautics and space institute alongside his other activities, Frédéric Pradeilles worked for 8 years at the French defence procurement agency DGA on vertical and cross-functional management missions shaping industrial and R&D policy in the domain of space, observation, intelligence and drones, and managing preliminary studies for complex systems engineering. In 2007, he joined CS-Systèmes d’Information as director of its Homeland Security division and was subsequently appointed Chief Technical Officer (digital services companies and critical systems integrator). In 2010, he joined Capgemini, where he was Vice-President, Business Development for Space, Navigation and Defence at Capgemini Technology Services, then manager of the Cybersecurity Business Unit of Sogeti France from 2014. 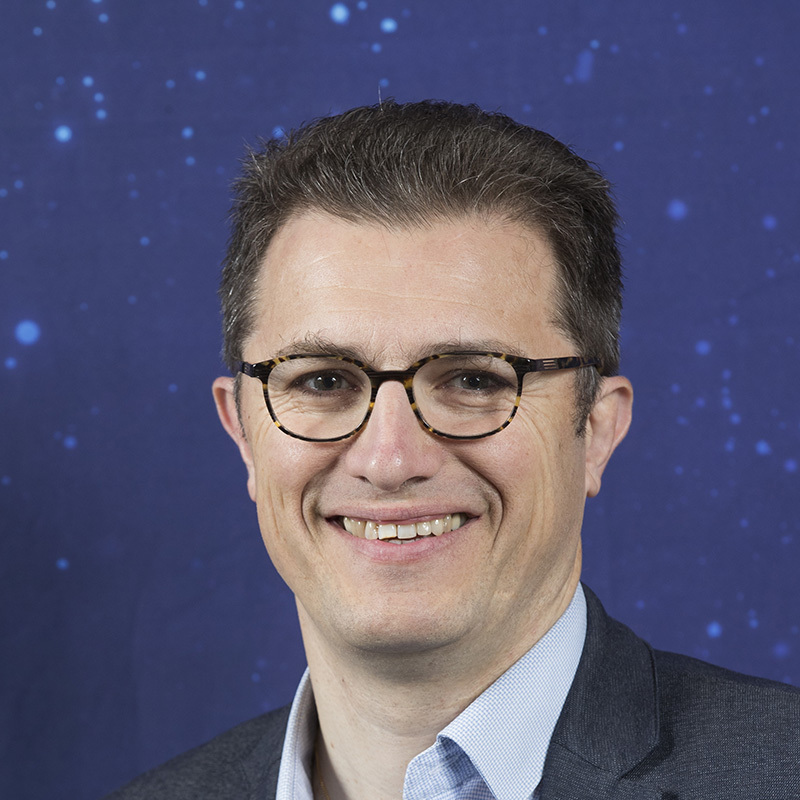 Frédéric Pradeilles joined CNES in January 2016 as advisor at the Directorate of Innovation, Applications and Science (DIA). He was appointed Deputy Director of DIA with responsibility for coordinating the science programme on 1 November 2017, then Director of Digital Technologies and Operations, and Site Director of the Toulouse Space Centre from 3 April 2018. He was an intern at the 66th session of IHEDN, the French institute of higher defence studies, has published papers in peer-reviewed journals, spoken at international conferences and written books on mathematics, signal and image processing, and systems engineering.